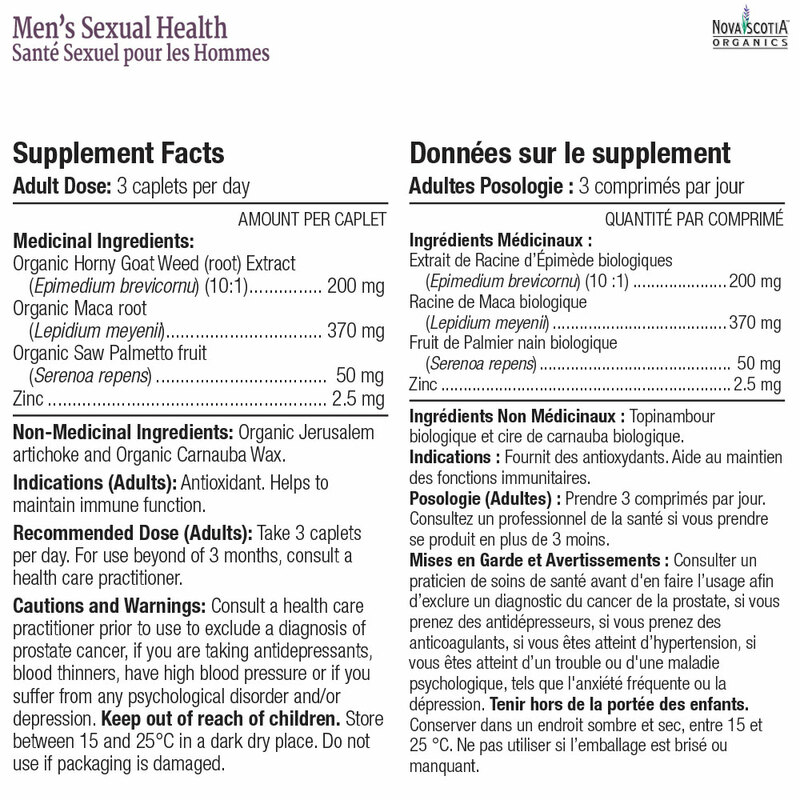 With the Nova Scotia Organics Men's Sexual Health formula Men wont have to miss out on any of life's best experiences. Although there are many serious medical factors that can negatively impact men's energy levels, fertility and performance, for some, simple additions of the right phyto-nutrients to their diet can make a difference. This formula includes four important ingredients: Maca Root, Zinc, Saw Palmetto and Horny Goat Weed.